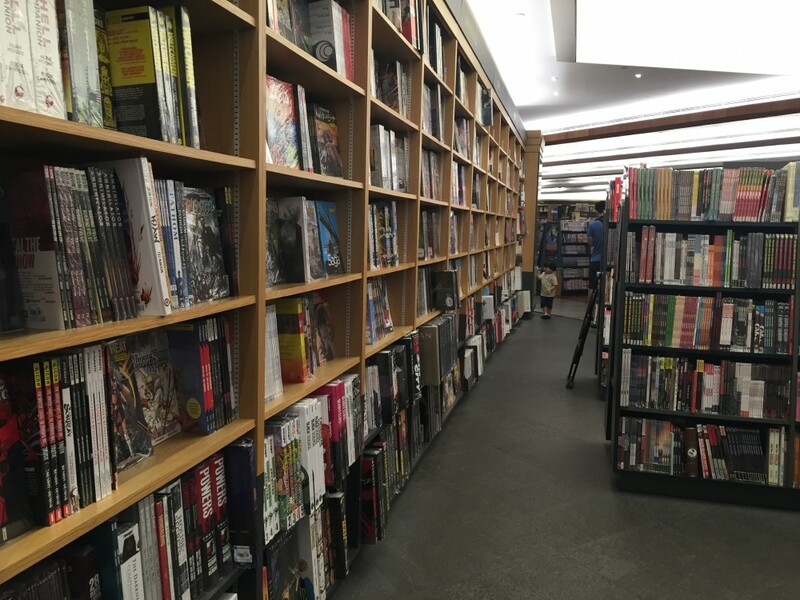 Enter any bookshop and you’ll invariably find that the most attractive section is the one on recipe books. Most cooks – amateur and professional – have an array of well-thumbed recipe books, which range from the strictly functional sort, with not a single illustration or photograph in it, to the glossy page variety, with one luscious photograph on every leaf. In short, that’s what a recipe book is supposed to do: help you with the general list of ingredients, if not the exact quantities and the minute-to-minute cooking process. 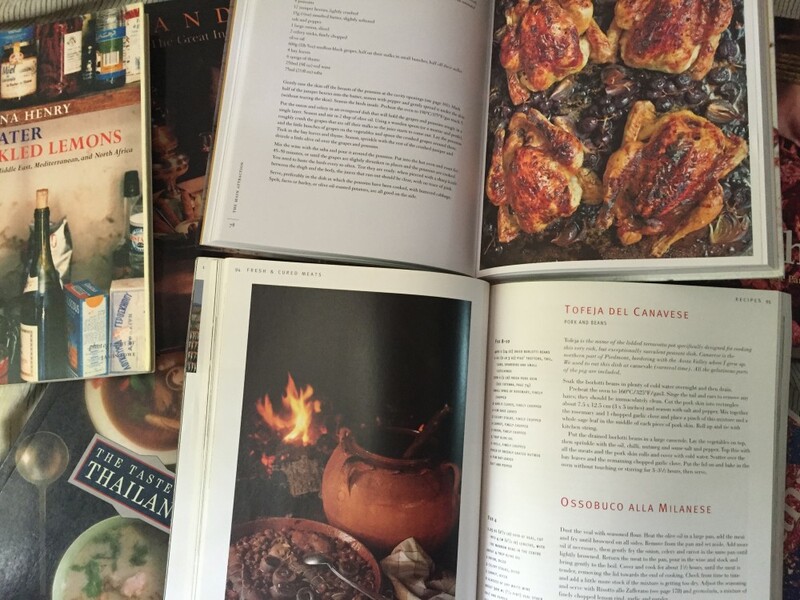 It’s a fact that recipe books are only written for experienced cooks by experienced cooks. There is currently no cookbook in India that holds the hand of the newly-wed bride and takes her through the stages of cooking, say, dal. “Pick over the dal, wash in several changes of water, fill up in a pressure cooker and cook till done,” is hardly the thing that a novice cook will find helpful. For instance, what do you mean by picking over dal? Cleaning out the impurities? Then, say so clearly. How do you define several? Three? Ten? Thirty? If you fill up dal and water in a pressure cooker, you will find that at the first whistle, you’ll get a dreadful mess, because the froth will have bubbled over, and all over your kitchen. Yet, I’ve never come across a recipe book that has ever instructed the reader to pour in a teaspoonful of oil into the water to prevent this from happening! And, excuse me, unless I’m sitting inside the pressure cooker with the dal, if I’m a first-timer in the kitchen, how exactly am I supposed to know when the dal is done? By telepathy? 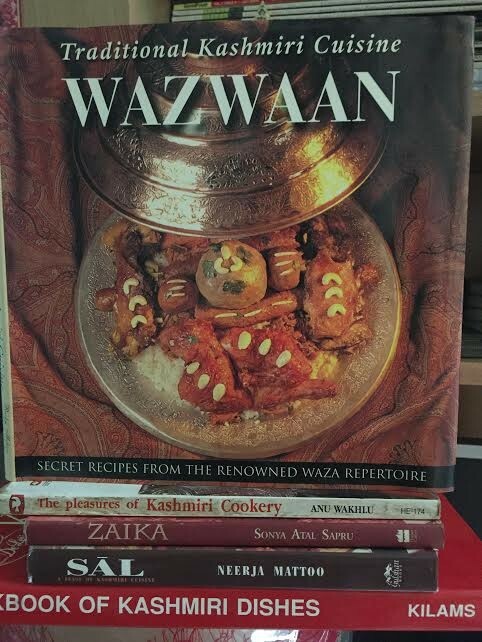 I collect books on Kashmiri recipes; there aren’t too many around in the first place. Out of the half dozen or so books that there are, not a single one talks about the cut of meat required for a particular dish. 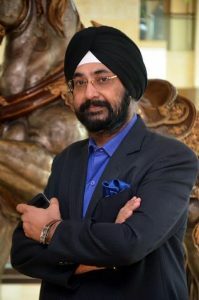 They all, without exception, say that rogan josh requires half a kilo of meat and dhaniwal korma requires 750 grams, but even if a child goes to a butcher in Srinagar, the butcher will first ask what dish is being cooked. He will give the meat accordingly. No matter how eccentric you are, if you are a Kashmiri, you won’t make mirchi korma with any cut other than the chest, milk yakhni with any but the shoulder, tabak maaz with any other part besides the ribs, and so on. Yet recipe books remain silent about this one vital part. Why? 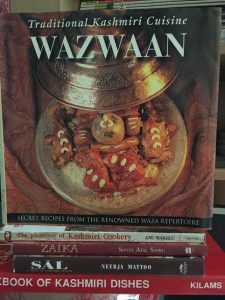 If they didn’t know (most of the Kashmiri cookbooks are written by Kashmiris, so that’s no excuse) why have they been commissioned by the publisher to write on a cuisine about which they are ignorant? I have no answers. I myself prefer the Penguin school of cookbook. No pictures, no illustrations, no distractions. Nothing comes between you and your food. Only God knows whether all the recipes work – I suspect some of them don’t by the sound of the ingredients, but I’ve spent at least twenty years in the kitchen, so you won’t catch me trying anything that sounds fishy (pardon the play on words). 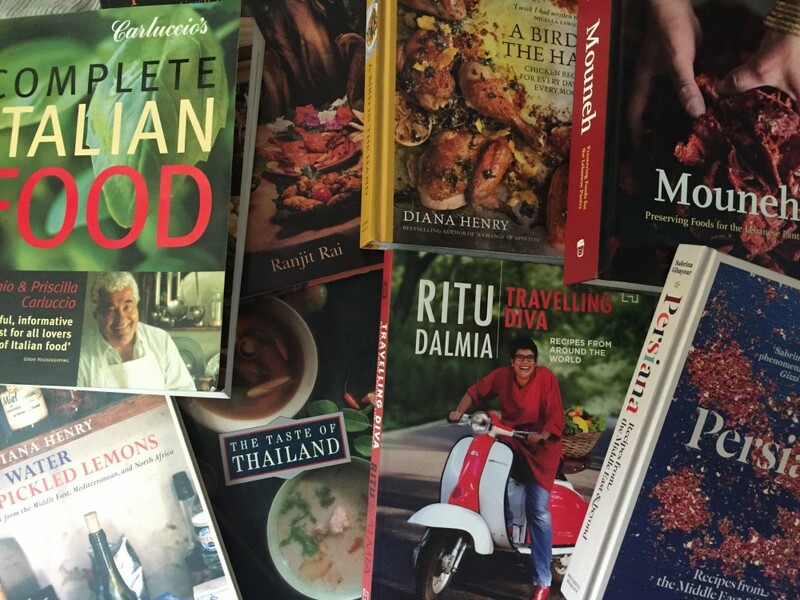 However, I had recently acquired five gorgeous little recipe books, all published by Brijwasi and written by Tannie Baig, who started cooking Thai food before most of us knew where Thailand was. Each book (they’re on eggs, quick meals, South East Asian food and fish) has a user-friendly, idiot-proof introduction, each recipe is accompanied by a to-die-for photograph, the ingredient list is concise, the method short and there’s a two line note for each recipe. I had tried out a couple of novel recipes (rice cutlets with boiled rice, soaked bread, grated cheese, minced onion, ginger, beaten egg, chillies, and flour was one) and found them simple, ingenious and tasty – not a mean feat. However, I realized the power of a good recipe book, because my thirteen year old daughter who has so far shown a dismaying lack of interest about the kitchen, asked me if I could buy her lettuce leaves and a stalk of lemon grass because she was convinced that several of the recipes were well within her capabilities. If she does try to make them, and – miracle of miracles – should they prove palatable, Tannie Baig will become my idol, for she will have achieved something in three days that I have not in thirteen years! I have a couple of amusing incidents about recipe books. Coincidentally, both concern friends of mine who are Cordon Bleu cooks. Rupa Gulati is now a television star in London, where she presents Indian cookery shows. When she had just moved to India from the UK, she knew everything about classic French cookery, but precious little about Indian food. So she bought Madhur Jaffrey’s A Taste of India, and kept a ruler in the kitchen. When Madhur Jaffrey said to use a piece of ginger that measured one eighth of an inch, Rupa would take out her ruler and measure. And the dish always turned out perfect! That’s standardization for you. The other story concerns the opposite side of the picture: Manju Ahluwalia is now a Cordon Bleu cook, but when she was a new bride (she’s going to be a grandmother soon) the ceiling of her army quarters kitchen was always filthy. When the Commanding Officer’s wife asked her what she was doing, it transpired that Manju always pressure cooked food, but without the whistle! The recipe book didn’t say so, so she was blissfully unaware! Moral of the story: use the recipe book as a guide, but get a more experienced family member, friend or neighbour to take you through each step if you’re a novice in the kitchen. And don’t ever pressure cook without the whistle!